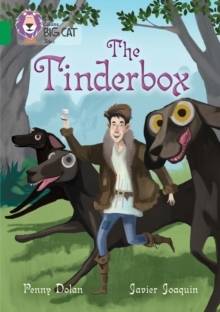 When Jack finds an old tinderbox, he doesn't think much of it, but the fact that someone else wants it so much makes him question his value. Indeed, as his wishes come true, there's only one last thing that he really wants. But will he be able to outwit the King and Queen and win the heart of the Princess before it's too late? Emerald/Band 15 books provide a widening range of genres including science fiction and biography, prompting more ways to respond to texts. Text type: A traditional tale Curriculum links: English: fairy stories, myths and legends This book has been quizzed for Accelerated Reader.